Organizations that simply focus on creating backups of their critical workloads may not necessarily think about multiple tiers of storage as part of their disaster recovery plan. But in the face of a scenario in which you need to recover every part of your business operations—including accounting's files, for example—it becomes evident that both the secondary and primary storage layers should factor into that recovery plan. 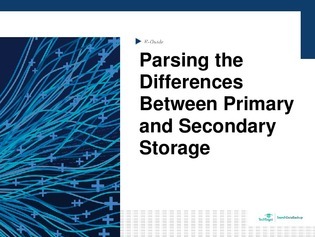 From the experts at SearchStorage.com, this e-guide examines the importance of factoring your primary storage tier into your organization’s backup and DR plan. Download here for the details, as well as a glance at the cloud’s role in the recovery process.